>>> L O W.. P R I C E S .. S E L L.. C A R S <<< 3 DAYS ONLY. THURSDAY, GOOD FRIDAY & SATURDAY. TREAT YOURSELF TO A NEW PRE-OWNED VEHICLE THIS EASTER. “SPECIAL SHOWROOM DISCOUNTS"...UNBEATABLE LOW PRICES...ALL PRE-OWNED VEHICLES ARE ON SALE... S A V E THOUSANDS DURING THIS 3 DAY EVENT... 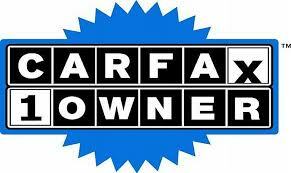 SO, DO YOUR RESEARCH, COME TO OUR SHOWROOM, AND BE PREPARED TO DRIVE YOUR NEW PRE-OWNED VEHICLE HOME. WE WANT YOUR BUSINESS. HAVE A SAFE AND HAPPY EASTER !!! ** NEW PRICE! **, ^^^ FACTORY CERTIFIED ^^^, **ONE OWNER **, 4D Extended Cab, HEMI 5.7L V8 Multi Displacement VVT, 8-Speed Automatic, 4WD, 40/20/40 Split Bench Seat, 5.0" Touchscreen Display, ABS brakes, Add Class IV Receiver Hitch, Anti-Spin Differential Rear Axle, Audio Jack Input for Mobile Devices, Body Color Front Fascia, Body Color Grille, Body Color Rear Bumper w/Step Pads, Carpet Floor Covering, Center Hub, Charge Only Remote USB Port, Cloth 40/20/40 Bench Seat, Delete Class IV Receiver Hitch, Dual Rear Exhaust w/Bright Tips, Electronic Stability Control, For More Info, Call 800-643-2112, Front Armrest w/3 Cupholders, Front Fog Lamps, GPS Antenna Input, Heated door mirrors, Integrated Voice Command w/Bluetooth, Low tire pressure warning, Manual Adjust Seats, Media Hub (USB, AUX), No Satellite Coverage w/AK/HI/PR/VI/GU, Overhead Console, Popular Equipment Group, Quick Order Package 27J Express, Radio: Uconnect 3 w/5" Display, Ram 1500 Express, Rear Floor Mats, Rear Folding Seat, Rear View Day/Night Mirror, Remote Keyless Entry w/All-Secure, Remote USB Port, SiriusXM Satellite Radio, Temperature & Compass Gauge, Traction control, Variably intermittent wipers.